Join in the fun at a local event to celebrate Computer Science Education Week! This week is Computer Science Education Week - a worldwide opportunity for anyone to host and participate in events to advance computer education by empowering and inspiring the next generation of scientists and engineers. 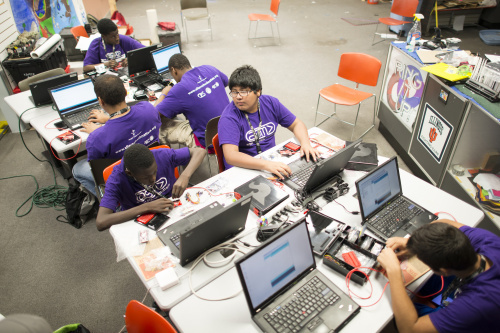 Each year during CSED week, we love participating in local Hour of Code events, a one-hour introduction to computer science, designed to demystify code and show that anybody can learn the basics. We believe everyone should have the opportunity to learn computer science, and while our Department of Education takes this task to heart all year long, we never miss an opportunity to celebrate computer education in our home state. 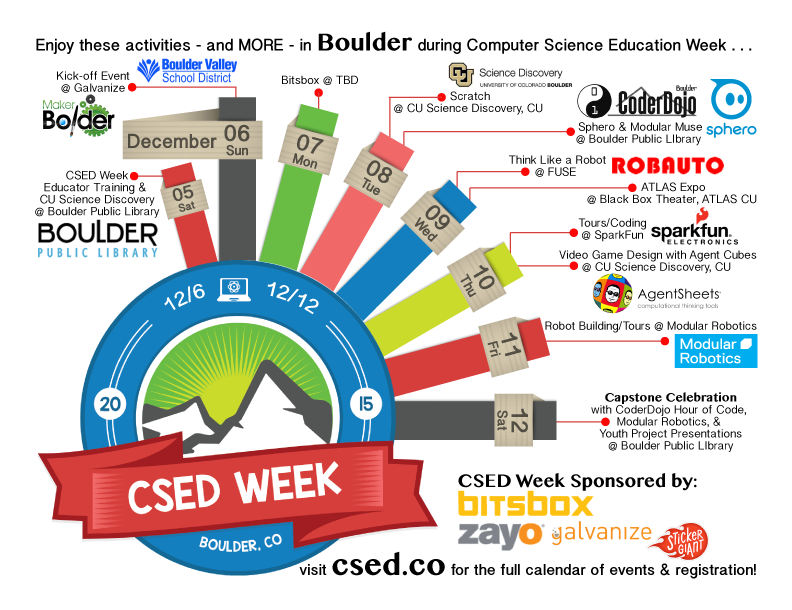 This year is no different, and we encourage our Colorado and Boulder community to participate in the many exciting local events happening this week, with friends like Modular Robotics, Bitsbox, Sphero and more! If you're interested in hosting your own Hour of Code, the official sites for Hour of Code and CSED Week have extensive planning materials, resources and tutorials you can use to run your own fun event and participate in the computer science education celebration! A really bad time of year for this. College kids are in final exam week, the parents of k12 kids are running all over for the the holidays. It would work much better late January when everyone is bored. The Dumpster Dive is today!